Imagine meeting your brother for the first time right before taking a cross-country flight. On a recent trip to Orlando, that very thing happened to an Alaska Airlines customer, thanks to help from some Alaska employees. Gary Covington, of Tacoma, was born on June 22, 1948, at Providence Hospital in Seattle and adopted when he was only 1 month old. Growing up, Covington’s mother shared with him that his birth parents’ last name was Helton. In the 1980s, Covington started searching for his birth parents with the help of some friends. Through his research, he learned that his father was Edward V. Helton, a sergeant in the U.S. Army, and that he had a sister born 15 months before him. He was given up because his parents were planning on separating. When Covington got in contact with his older sister, he learned that his parents never divorced and he was one of nine children – his parents had seven more children after him. Eventually, Covington met all of his siblings – except his second brother, Jerry Helton, who is seven years younger. “Jerry was the last of my eight siblings that I had yet to meet,” Covington said. The brothers were planning on meeting for the first time at the Helton family reunion in Florida. Covington knew Helton’s itinerary ahead of time and wanted to surprise him. A friend of Covington’s emailed Alaska Airlines to see if employees wanted to participate in the surprise. On the day of the flight departure, employees made signs for Gary and Diana to hold with the words, “Jerry meet Gary” and hid the Covingtons inside the jetway. Another employee handed out signs to other customers in the boarding area with, “Surprise!” written on them. A third reassigned Helton’s seat so he was sitting next to Covington. Right before the start of boarding, customer service agent Michelle Campbell called Helton to the podium. At that moment, the Covingtons appeared through the boarding door. Covington said Helton was shocked. Covington was especially appreciative to all the employees who helped make the experience memorable. Covington said the entire inflight crew called them by their first names and also gave them complimentary food and beverages. “Meeting Jerry brought a feeling of completeness to me,” Covington said, adding that he’s now met all of his brothers and sisters. 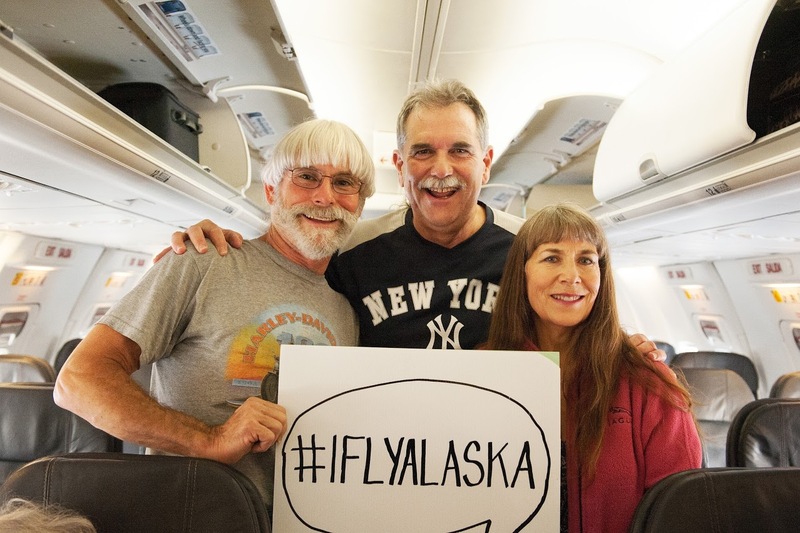 3 comments on "Alaska employees help two brothers meet for first time"
Thanks to Alaska Airlines for helping the meeting of my two cousins so special! What a great surprise good job Alaska airlines!!!! !